Tonight we’ll be attending the launch event of the second book in this SF series, called “Apusul” (“The Sunset”), coming out at Nemira publishing house. The event starts at 7 PM, at Cărturești Carusel, a bookstore located in Bucharest’s old town – the capital of Romania, where we’re based. With studies in law, passionate about history and futurism, Mihălțianu was among this year’s finalists for A New Shape Prize – a competition organized by The Global Challenges that rewards projects that can minimize and eliminate the most pressing threats to humanity. With prizes totalling $1.8 million, this is the biggest competition of its kind, seeking to stimulate visionary thinking from the brightest minds in the world. 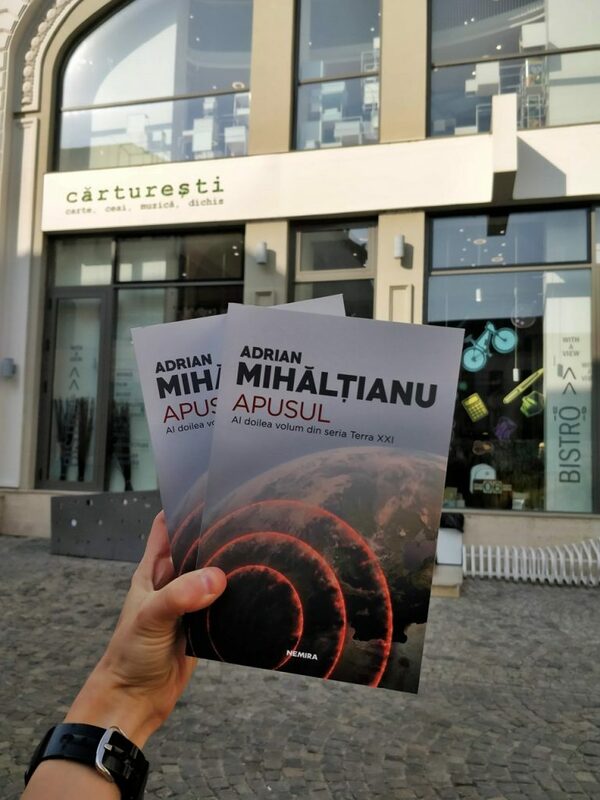 Stay tuned – in a few days we’ll publish an interview with Mihălțianu where we debate a few of the big ideas he covers in his SF work, and we’ll also give away a few copies of his books!